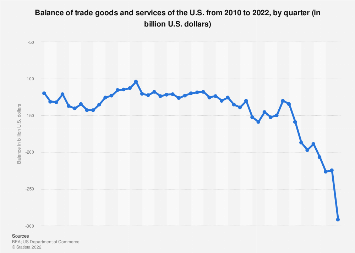 Despite all efforts by the Trump administration to reign in the country’s trade deficit, the gap between imports to and exports from the United States climbed to a 10-year high in 2018. 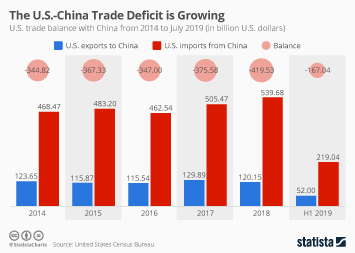 According to figures released by the U.S. Census Bureau on Wednesday, the U.S. trade deficit in goods and services shot up to $621 billion last year, the highest it’s been since 2008. 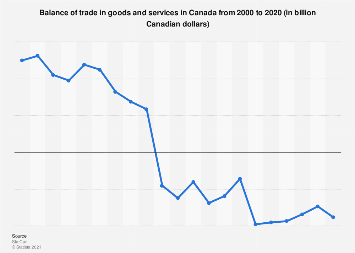 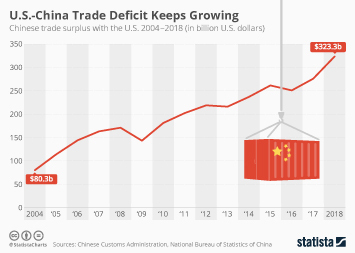 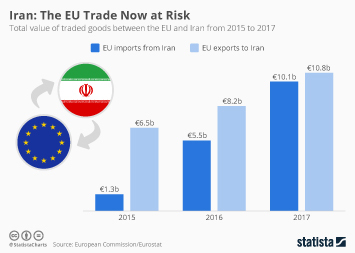 The increase was mainly caused by a historically high deficit in goods trade, which amounted to a record $891 billion, of which $419 billion can be traced back to trade with China alone. 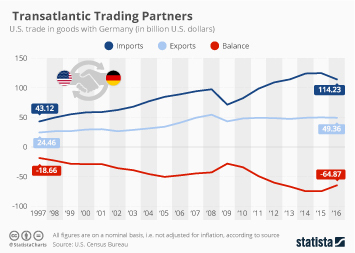 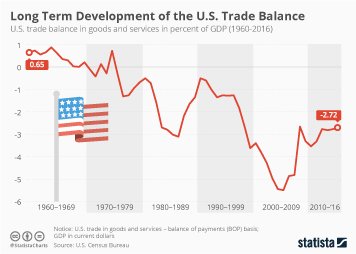 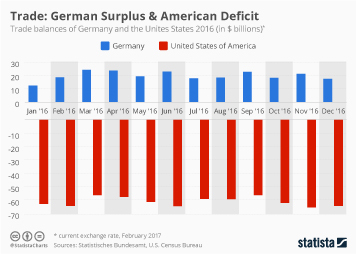 While Trump has often stated his disapproval of America’s large trade deficit, arguing that the U.S. is on the losing side of world trade, there are several factors playing into the growing deficit, not all of which are bad. 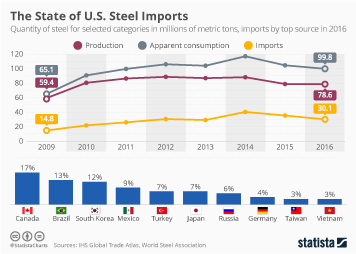 First and foremost, the U.S. economy is doing very well at the moment, resulting in strong demand for goods, many of which are manufactured abroad. 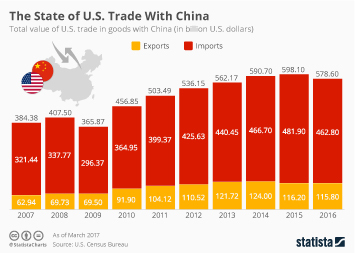 At the same time, economic growth in China has slowed significantly last year, which reduced demand for American goods in the world’s second largest economy. 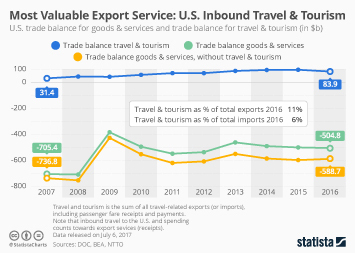 The strong dollar also contributes to the deficit as it makes U.S. goods relatively more expensive to foreign buyers while making imports to the U.S. relatively cheaper. 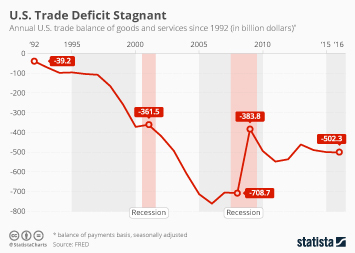 This chart shows the U.S. trade balance in goods, services and overall. 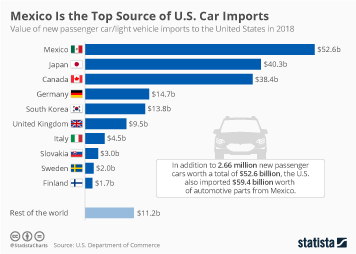 Who Would Be Hit Hardest by U.S. 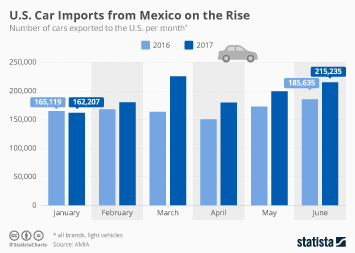 Car Tariffs?